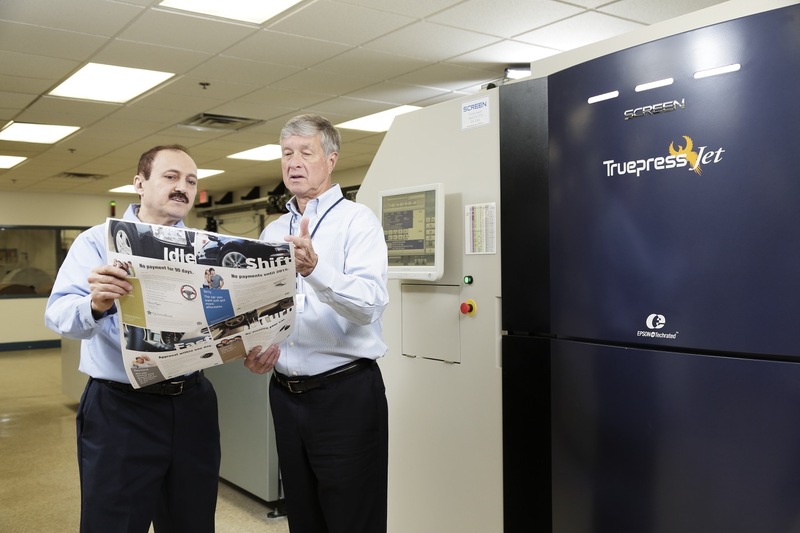 The photo above shows Dave Henkel, J&Q’s President, reviewing a press sheet off our color inkjet press, a Screen Truepress Jet520ZZ. Many of our clients’ direct mail programs have been converted to color inkjet printing – for the many benefits it provides. Today we will delve into the benefits provided by color inkjet presses, and the reasons direct marketers should look into color inkjet for their direct mail campaigns. After reading an overview of the benefits here, download J&Q’s Color Inkjet Printing FAQ document for more details. Color inkjet presses eliminate the traditional offset printing step. Starting with plain white paper, the press prints variable full color letters and forms in one step. Graphics, color and copy can change based on list segments, versions, or individual data elements. The quality of color inkjet is comparable to traditional offset printing and monochrome personalization, and it continues to improve as inks and papers are developed for this technology. So what are the key benefits of using color inkjet printing for direct mail? Initially our clients are saving substantially on postage by combining their current versions into one production stream. All versions are mail sorted and produced together, resulting in a higher concentration of mail pieces going to each postal distribution facility and lower postage rates. Mailers who mail large volumes of direct mail can save millions in postage over the course of the year. 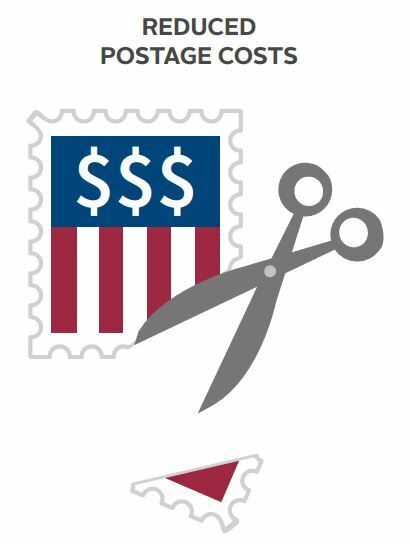 And with continually increasing postage rates, anything we can do to lower postage and delivery costs is crucial. A second immediate benefit is the elimination of preprinted forms. With color inkjet the traditional color printed portion of a letter or form is printed right along with the variables. Managing and storing forms inventory is no longer necessary, especially for ongoing programs. Forms overs are no longer required and if quantities come in higher than expected you don’t have to worry about running out of a preprinted form. In many cases production schedules are shortened, getting mail into recipients’ hands quicker. The traditional offset printing step is eliminated, shortening the production schedule. Plus today’s color inkjet presses are faster than most monochrome laser printers. Ultimately one of the key benefits is the ability to personalize each piece in color to the recipient. Photos, graphics, offers and other copy can be variably printed based on each person’s interests, purchasing history, or demographic data. Versions can be combined if they have the same inserts and outer envelope. And testing of offers, copy and other elements no longer requires a separate package with higher costs. For more information on color inkjet, download our Color Inkjet Printing FAQ. Look for more articles on color inkjet printing from us in the future. This entry was posted in Color Inkjet, Direct Mail and tagged Color Inkjet, Direct Mail, Direct Mail Production, Direct Marketing. Bookmark the permalink.